Get accurate results in 24 to 48 hours in the privacy of your home with our Home Hair Drug Testing Kit. This drug test kit uses a simple, in-home hair sample collection. 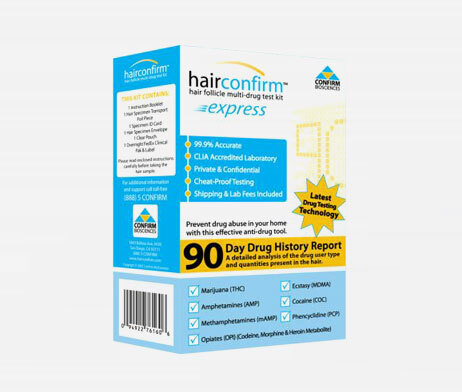 Hair testing is the most accurate and effective method of finding users of drugs of abuse. Using a small sample of hair cut at the scalp, hair analysis evaluates the amount of drug metabolites embedded inside the hair shaft.